This is the 30th post in a weekly feature here at Spare Candy, called "In History." Some posts might be little more than a photo, others full on features. If you have any suggestions for a person or event that should be featured, or would like to submit a guest post or cross post, e-mail me at rosiered23 (at) sparecandy (dot) com. 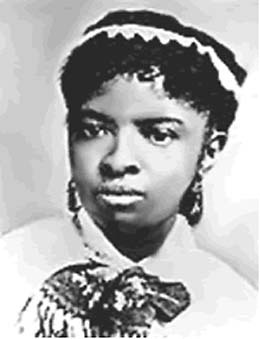 Mary Eliza Mahoney was the first black woman to be a professional nurse in the United States. (If you're curious, Rebecca Davis Lee Crumpler, who I wrote about last week, was the first black woman to be a doctor.) Mahoney graduated in 1879; there were black women before her who were nurses (such as Crumpler! ), but professional training was not required to be a nurse. 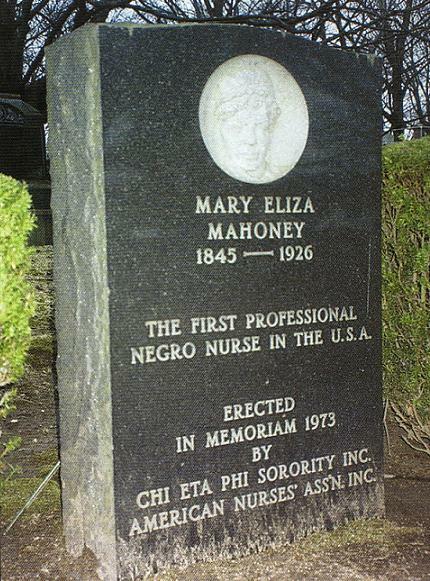 Mahoney co-founded the National Association of Colored Graduate Nurses in 1908, and she was one of the first black members of the American Nursing Association. Before her formal training, she worked at the New England Hospital for Women and Children. 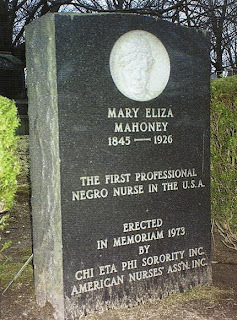 After, she was a private care nurse and served as director of the Howard Orphan Asylum for black children in Long Island, N.Y.
Mahoney was a staunch supporter and advocate for women’s rights, equality, and the right to vote. In 1920, she was among the first women in Boston to register to vote. In 1926, she died at age 80. After her death she received many honors. The NACGN established the Mary Mahoney Award in 1936. The NACGN merged with the American Nurses Association in 1951, and the award was continued. The award is still bestowed biennially by the ANA in recognition of significant contributions in advancing equal opportunities in nursing for members of minority groups. In 1976, Mahoney was inducted into the ANA's Hall of Fame, and in 1993, she was inducted into the National Women’s Hall of Fame. Congress passed a resolution honoring her in 2006. Read more about Mahoney at BlackPast.org.